NonQMHomeLoans.com is a full-service marketing agency providing the broad spectrum of Conventional and Non-QM Mortgage products. Our knowledgeable team of experts will constantly impress with the first-class service never before experienced in the industry. At MMC Properties LLC, our core strengths are the personal touches and unique products we deliver. Our representatives are our most valuable resource. Since their knowledge and expertise play a vital role in reaching our clients’ goals, we want our people to be happy in their work and remain with us; we aim to motivate and support our staff. Mr. Slyusarchuk, holds a BS of Economics from MIM University. Ron Szukala is NonQMHomeLoans.com Director of Operation. In this role, he is responsible for each aspect of the operations team from disclosure to underwriting. The team also manages underwriting, processing, and closing for each loan source. 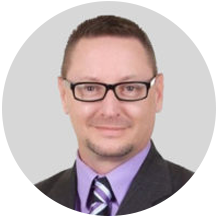 Mr. szukala has over 22-years in the financial and banking industry. His expertise covers a broad range of fields such as risk analysis, project management, audit controls, process re-engineering, quality control, and training. As a DE Underwriter, he is motivated to make the loan process as efficient as possible. He has been the linchpin for implementing systems and processes which make operations run smoothly and still support company growth while providing the customer with a superior experience. as risk analysis, project management, audit controls, process re-engineering, quality control, and training. 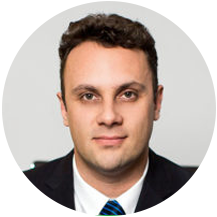 As a DE Underwriter, he is motivated to make the loan process as efficient as possible. He has been the linchpin for implementing systems and processes which make operations run smoothly and still support company growth while providing the customer with a superior experience. Lana Izgarsheva is the Administrative Director at NonQMHomeLoans.com where she oversees the Legal Department, provides human resource support and manages marketing and the customer support departments as well. Her experience consists of over 18 years in the mortgage business and has held several positions at United Financing before serving as President at A&D Financial. Lana holds a dual major, on in Political Science and the second in International business at FAU. She also has a Law Degree from VSU. Hanna graduated with a Bachelor’s Degree in Finance and moved into the mortgage & banking industry fresh out of college. Working at NonQMHomeLoans.com, she was promoted to Processing Manager in only ten months. 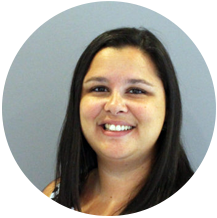 Hanna manages the company’s work-flow and oversees the loan quality of incoming applications. She works closely with the underwriting in various branches to ensure the highest level of customer service and fast turnaround times. Hanna also oversees the team’s work pipeline and guides them through the loan process. Hanna is consistently a team player and works to advance the company’s success. 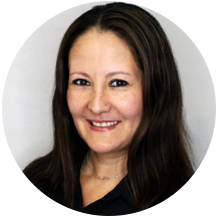 With more than 10 years experience in the title and mortgage industry, Veronica provides NonQMHomeLoans.com with leadership, team motivation and fairness. She facilitates and coordinates Loan Closings while supervising the Closing Team to make the closing experience seamless and smooth for the borrower. Veronica prides herself in strict attention to each loan’s accuracy, timeliness and customer satisfaction. 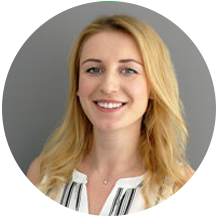 Jessica joined NonQMHomeLoans.com as Human Resource Manager in June 2018. With over four years of HR Management experience and 14 years of experience in retail, she is responsible for maintaining a professional level in NonQMHomeLoans.com as she workes closely with the HR Director while supporting NonQMHomeLoans.com employees.